FILE - A general view of Gwadar port in Gwadar, Pakistan Oct. 4, 2017. 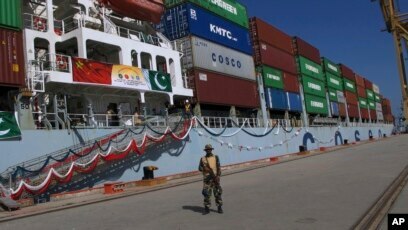 FILE - A Pakistan soldier stands guard while a loaded Chinese ship prepares to depart Gwadar port, about 700 kilometers (435 miles) west of Karachi. Pakistan, Nov. 13, 2016. It started with a New Year's Day tweet by U.S. President Donald Trump in which he accused Islamabad of providing havens to terrorists fighting in Afghanistan despite receiving over $33 billion in aid in the last 15 years. Subsequently, the Trump administration suspended security assistance to Pakistan until it takes “concrete” steps against militant hideouts on its soil. Islamabad promptly rejected Trump’s comments as “unwarranted” and “completely incomprehensible,” saying it was being scapegoated for U.S. failures in Afghanistan. Officials also maintain that Pakistan has received around $14 billion, not as aid, but as reimbursement for money spent on deploying security forces on the Afghan border and conducting counterterrorism operations in support of the U.S.-led mission. They say Washington still owes Islamabad around $9 billion. The tensions have led to negative public statements coming from both sides; but, Pakistani and U.S. officials have both dismissed the widespread impression that Trump’s Twitter comments pushed the relationship to the brink of collapse and that Islamabad intended to shut down the NATO supply lines. Pakistan blocked the ground lines of communication for months after a 2011 attack by the NATO air force accidentally hit two Pakistani border posts, killing more than two dozen Pakistani soldiers. The lines were restored only after the U.S. military formally apologized for the incident. A U.S. government source tells VOA a “robust ongoing” bilateral dialogue is on track between the two countries, particularly their militaries. A U.S. military delegation was in Islamabad on Monday. Late last week, Pakistan's army chief, General Qamar Javed Bajwa, had a phone conversation with General Joseph Votel, the CENTCOM commander. Army spokesman Major-General Asif Ghafoor told VOA the contact helped remove any “apprehensions” about future cooperation. “Cooperation and not coercion is the way forward,” Ghafoor said. 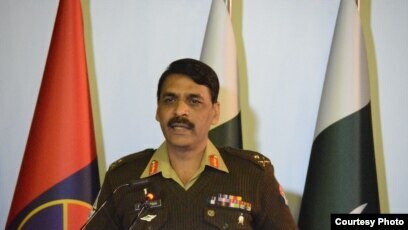 FILE - Pakistani army spokesman Major-General Asif Ghafoor. Pakistani Senator Mushahid Hussain, who heads the defense affairs committee of the upper house of parliament, told VOA his country has allowed U.S. and allied forces to undertake more than “one million overflights free of charge” since 2001 to conduct counterterrorism and other missions. “The U.S. needs Pakistan more than we need it because of our location, because of our role and because of the options (available to Islamabad),” Hussain said. He was referring to Islamabad's deepening ties with China, Turkey, Iran and improving relations with Russia. The senator, however, noted that despite the latest strains in mutual ties, the GLOC and ALOC lines remain operational because Pakistan is committed to supporting efforts to bring peace and stability to Afghanistan. 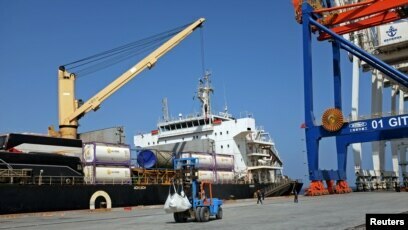 Pakistan is considered the safest and cheapest route to resupply NATO troops. Other possible routes that go through Iran and central Asian countries are more expensive and pass through a region Russia considers its backyard. Tensions between the United States and Russia have been high since Moscow was accused of meddling in the 2016 U.S. presidential elections. “Without Pakistani cooperation, our army in Afghanistan risks becoming a beached whale,” wrote former U.S. diplomat Richard Olson in an article for The New York Times this week. Can the ‘Indo-Pacific’ compete with China?